Supercharged 5.4L V8, 582hp, 590lb-ft, two seats, carbon fiber interior, four-point harnesses, 200mph, 1.35g lateral acceleration, 14.2″ rotors with 6-pot calipers, 100 examples produced (with only five in the States)… When you read a list like that, “silver Mercedes-Benz CLK” probably isn’t the first thing that pops into your mind. You wouldn’t be alone. 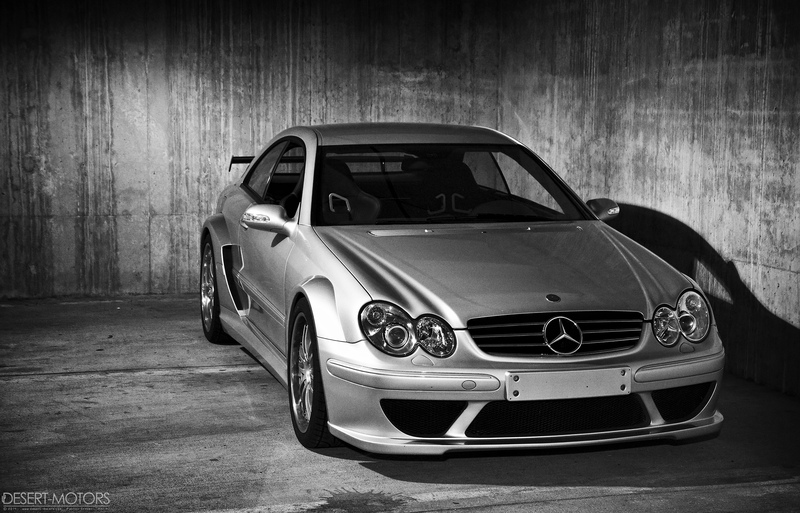 My experience with the Mercedes-Benz CLK DTM AMG was short. Much shorter than I would’ve liked, unfortunately. But it was also a unique experience. This particular CLK DTM AMG was trailing behind me in my 1967 AMC Rambler American on our way to the shoot. Suddenly, the Rambler sputtered and rolled into the left turn lane of a major road. Things like this don’t surprise me much, as that comes with the territory when daily-driving a quirky old car–especially when that old car doesn’t have a functioning fuel gauge. I jumped out, ran back to the DTM, explained the situation and pushed my car through the intersection and into a random parking lot. A little sweaty and plenty embarrassed, I slid into the 582hp silver lining that had followed me into the parking lot. Sinking into the carbon fiber seats and strapping myself into the four-point harnesses, I found it hard to believe I was in a CLK. Surrounded by carbon fiber and suede with that potent V8 gurgling menacingly, I forgot about the base car and only saw all those amazing upgrades that were made care of AMG. The situation forced a change of plans and photo location so after a quick shoot we were back in the DTM, heading for the gas station to start the process of rescuing my stranded Rambler. Cruising alongside traffic, you start to remember that this isn’t your typical 200mph car. 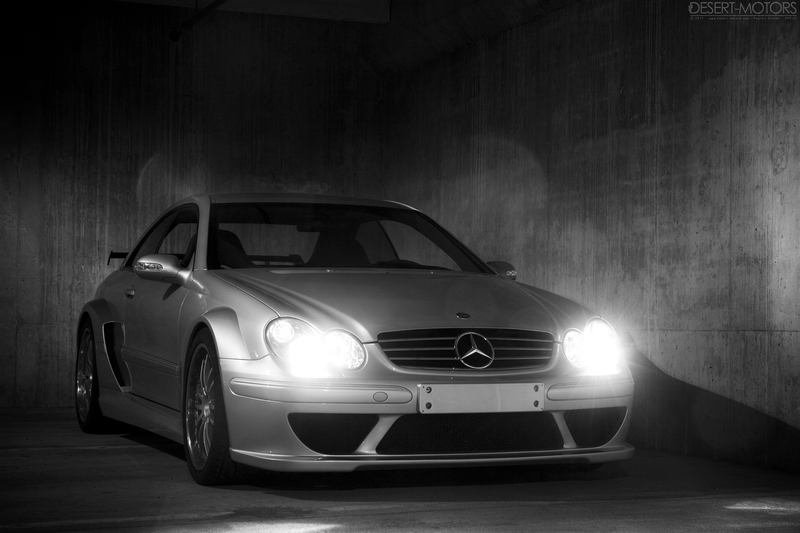 The CLK is relatively comfortable, in part because it’s solid and rattle-free. The visibility is great. While the motor and gearbox aren’t quiet, they don’t roar or clatter, either. But get into that throttle a bit and you’re brought right back to the reality of what you’re driving. The torque is staggering. With 86% of the torque available at just 2,000rpm you are thrown into the seat with force of a level that I’ve only experienced in maybe one other car (another Mercedes-Benz, a modified SLR McLaren, not-so-coincidentally). It’s shocking. Accompanied by the scream of the supercharged 5.4L V8, it’s also very addictive. At the gas station with the DTM parked at a pump under harsh canopy lamps it was easy to see the other side of the coin. From a distance you might mistake it for your run-of-the-mill CLK… maybe one with some aftermarket wheels. And people did. Never have I seen such a rare and outrageous car garner so little attention. With the power and performance on par with or surpassing Ferraris and Lamborghinis and a price tag almost double many of them, it didn’t turn a single head. In the span of about two minutes I understood what makes this car so interesting. It’s one of the most extreme street cars Mercedes-Benz has ever built, but even their standard SL-class might spark more second looks. 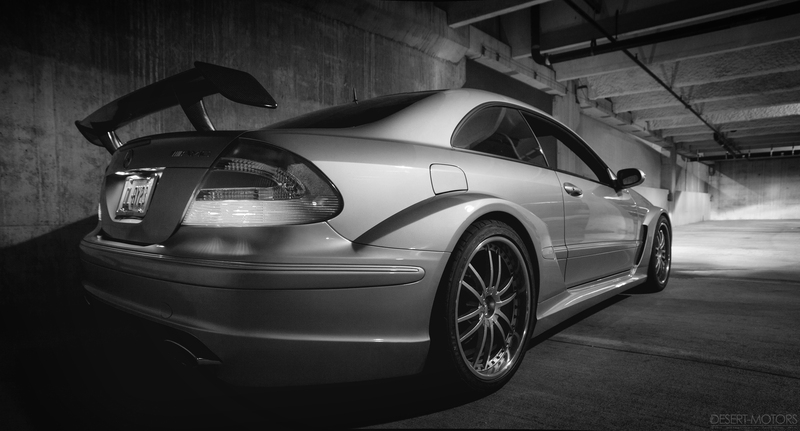 It has a carbon fiber wing, overt fender flares and massive wheels and tires wrapped around mammoth brakes, but to the average person (and even many enthusiasts), it’s just another “silver Mercedes-Benz CLK”. Such an odd thing, this car.